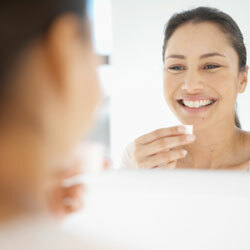 If you’re looking for dental implants in Melbourne, talk to us today! We’ll take the time to explain the options and help you plan your treatment. Do you suffer from dentures that are loose or unexpectedly drop down? Are unable to chew properly? Have you felt embarrassed about gaps where your teeth are missing? 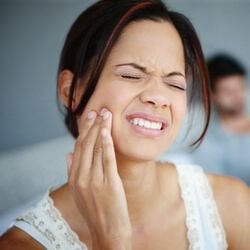 Do you have a tooth that needs to come out, and worried about how you will smile after? You deserve the best today’s modern restorative dentistry can provide, and dental implants can put all your worries behind you. We want to provide you with the best information and all available options, so you can choose the best solution for your needs. To find out more about the process, and the approximate costing for the options for your situation, we offer a free consultation. We even arrange to bulk bill Medicare for your Xray. To make a suitable time, give us a call on 03 9318 5599 or book your FREE CONSULTATION here. Dental implants are a solution for single or multiple missing teeth or to hold dentures in place so they don’t move. Whether it’s several teeth or a single tooth you’re replacing or to stabilise your dentures, dental implants will give you permanent, natural-looking results. They are often used in conjunction with crowns, bridges, or veneers to make you a perfect smile. 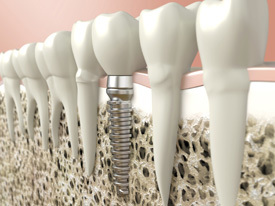 We work with the Nobel Biocare Guided Dental Implant system, as well as Astra Dental Implants (AstraTech) and Ankylos Dental Implanvology – and also support Osstem Implants and BioHorizons, as well as Straumann, Atlantis, and several other systems of dental implants for single and multiple teeth or dentures..
Are Dental Implants Right For You? Let’s Find Out! Dental implants utilise a large number of dental item codes which are the way Health Insurance describes the procedures. These item codes include 661, 662, 663, 664, 666, 668, 669, 671, 672, 673, 678, 679, 684, 688, 689, 691 (as well as many others which may be used in the preparatory period, or for bone augmentation, bone or gum grafting procedures often done in conjunction with dental implants). These may be less invasive and less expensive than regular dental implants, but since they’re smaller, their hold is much more limited. We only suggest these for certain cases in which other options aren’t available. Our dentist will be able to clarify which options are available for your particular case. Providing care to Maribyrnong, Footscray, Avondale Heights and surrounding suburbs.